Freedom is something we take for granted here, we are pretty lucky, no wars on our doorstep, relative affluence. Even scum of the earth murderers and rapists have a lawyer, a fair trial and are excluded from society for a couple of years, in gaol's that, in comparison to other parts of the world, are like a hotel. Because even vile humans have rights. Well, we're back home (and I'm back at work). I took about 6400 photos during our 3 weeks in Canada, most of which all looked the same. I guess that's what happens when you spot your first polar bear and hold down the shutter for minutes at a time, pausing only to change memory cards. Overall, it was an excellent holiday. The only way it could have been better is if we went to Knight Inlet to see the grizzlys as well, as many people in our tour group had done. Remember Toobs ? Everyone remembers Toobs. They were the best chips ever ! But then they stopped making them. But they have returned ! Smith's have brought them back - they are apparently available now. One of the enterprising folks from zgeek wrote to Smith's asking where to get TOOBS in their local area (which used to be my local area annoyingly enough) - I thought I'd do the same. For her birthday, I bought Shelley an Extreme Driving half day rally drive, located near Cessnock in the Hunter Valley. She had a great time sliding around in the dirt in the WRX, while I had a great time taking photos with my new 100-400mm camera lens - I ended up taking about 1200 photos over 4 hours. The 100-400 was just THE perfect lens for taking photos of the action. 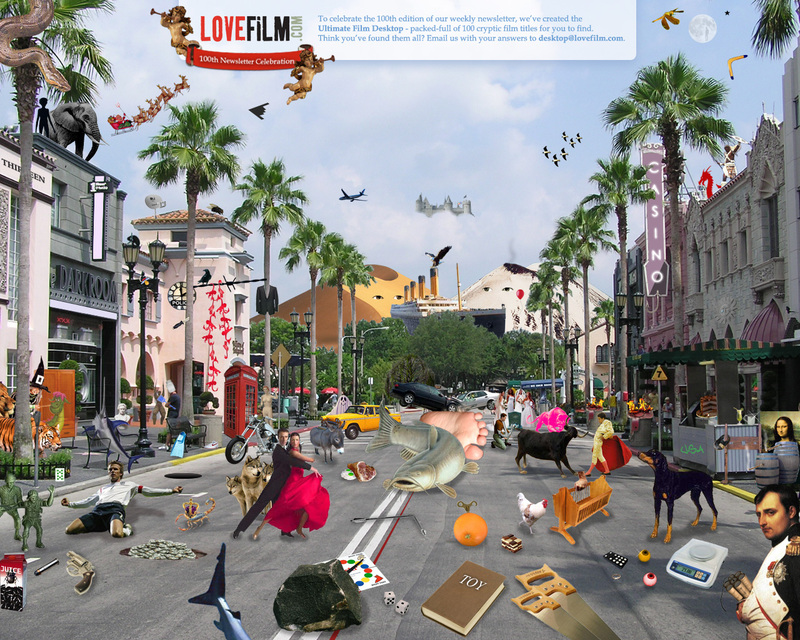 Apparently there are 100 movie titles depicted in this image. Try and find them all. Post a reply listing your finds.